Hello lovely people and welcome to my little patch on the internet. 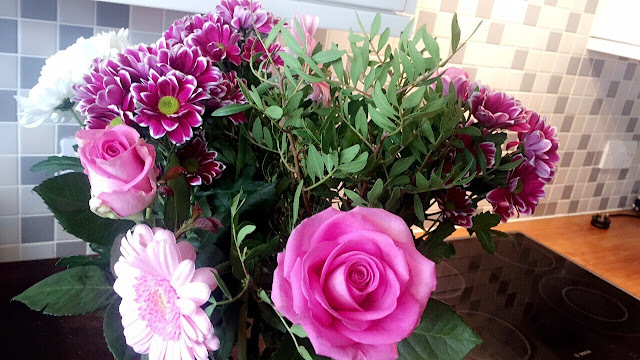 My name is Samantha Jade and I write a little lifestyle blog based in and around Northern England. Proud Northerner and full time Nurse. Welcome back, and yes, I've been baking. Again. I can't help it. I get bored and baking is the answer. 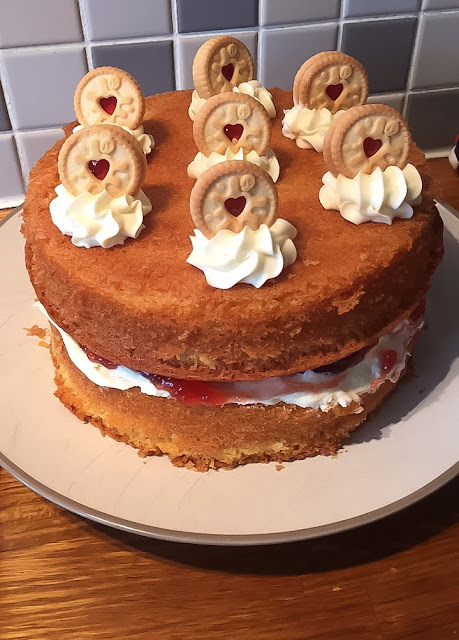 Rob's birthday was last month and I made this yummy Jammie Dodger cake alongside his beloved carrot cake he always asks for. Although the carrot cake was delish, this Jammie beauty was perfectly tasty as well as fabulously instagrammable. I've seen some cakes similar to this on Pinterest and thought I'd give it a bash and it worked rather well. So much so, I made some mini versions with the left over Dodgers and buttercream. Let's begin with the big whooper cake. I used a recipe from the wonderful Mary Berry to create a simple victoria sponge cake with a lil' twist (would it be a blog post by me if I hadn't fiddled with the recipe? Nah...) You'll find you won't require the whole pot of buttercream and jam or all the mini dodgers, which is why I have added a wee recipe below for some mini cakes for your left over treats! Hiya hinnies. Welcome back! I hope your all well and enjoying the Easter holidays. If you've been watching Channel 4 lately, you'll have either watched the TV series, 'Hidden Restaurants' with Michel Roux Jr, or you'll have at least seen it advertised (if not, 1. where have you been? 2. watch it!). Michel Roux Jr recorded a whole 1 hour episode up here in this bonny part of the world, that is the North of England, and this beautiful little hidden treasure was a main feature of this particular episode and my god, I can totally see why. How beautiful. Amazing food, great staff and a fabulous view. 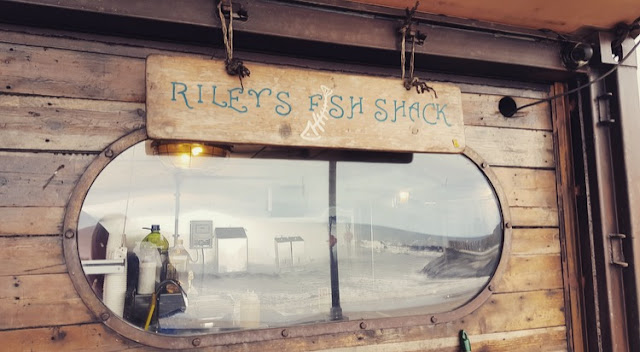 Serving perfectly cooked seafood is the heart and soul of the staff working in this little shack and for a tiny little restaurant, it is by far the nicest place I have ever eaten seafood.